Apple iPhone and iPad owners living in Greater China are now able visit one of the country's 18 Apple Store locations to trade in their old hardware for store credit, which can subsequently be applied to a new device purchase. Apple spokeswoman Kitty Potter informed the South China Morning Post​ on Tuesday that China's program, based on the successful U.S. Reuse and Recycling initiative, is now active at Apple Stores across the country. A report last week claimed Apple would limit the Chinese version to used iPhone models, but it appears customers can trade in old iPads as well. "Apple retail stores in China are launching a new program to assist customers who wish to bring in their previous-generation iPhone or iPad for recycling," Potter said. "In addition to helping the environment, customers will be able to receive a credit for their returned iPhone or iPad that they can use toward the purchase of a new [device]." The new plan covers devices purchased within the Chinese mainland, Hong Kong, Macau and Taiwan. Additional information regarding sell back processing and pricing was not immediately available, though Chinese trade-ins are believed to follow a rule set similar to that of its U.S. counterpart. 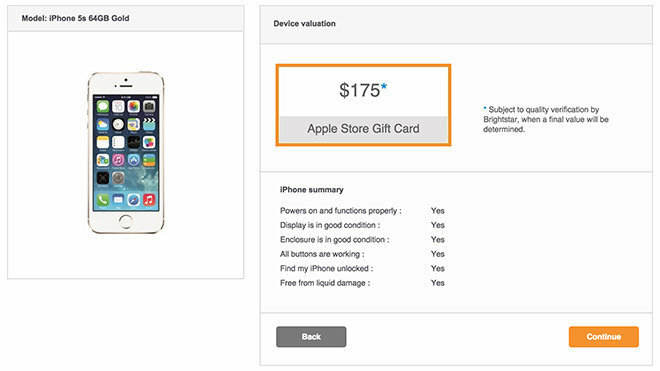 Stateside trade-ins are evaluated by Apple Store employees who run through a device checklist before assigning a fair market price and shipping it off to third-party processor Brightstar. Alternatively, Brightstar itself handles assessments when customers sign up for a trade-in online. Last week Bloomberg said Apple partner supplier Foxconn would run point on Chinese recycling efforts, but those claims have yet to be substantiated. Under the reported deal, Apple Store employees would evaluate used devices before handing them off to Foxconn for refurbishing and reselling through websites eFeihu and FLNet. Alibaba's Taobao store was also mentioned as a possible point of resale. A Web-based trade-in program has not been announced, but Foxconn is said to be mulling the proposition. Most recently, Apple expanded its Reuse and Recycling Program to non-iPhone trade-ins in the U.S. and Europe, a move meant to entice Google Android owners to make the switch to iOS.